Two Hospitalized in Accident by City Grille, LIVINGSTON, March 13, 2010 - At approximately 4:15 pm on March 12, 2010, the driver of a Pontiac Grand Am, driven by an elderly lady attempted a left turn off of US-190 West and onto FM-350 South near the City Grille restaurant. The driver had a green light, but not a green arrow, meaning she would have to yield right of way on her left turn. 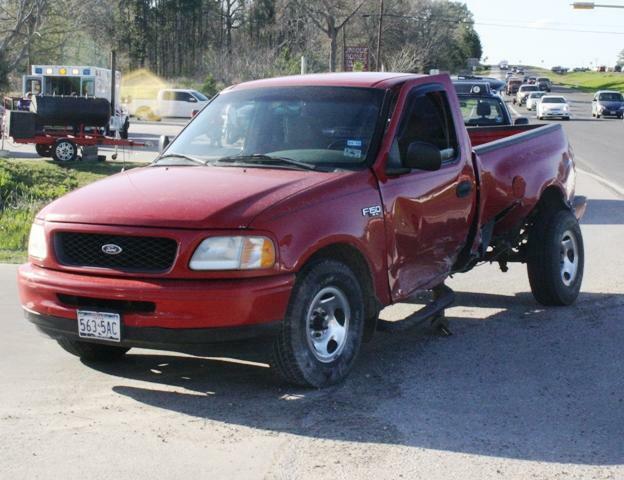 She failed to do so and broadsided an east-bound red Ford F-150 who had several passengers. The truck came to rest in the parking lot between First National Bank and City Grille, while the car turned around into the median. Americare Ambulance Service was dispatched to the scene along with the Livingston Police Department, including Officer Ashley Brame. The driver of the truck and a young passenger were transported to Livingston Memorial Hospital with undisclosed injuries. 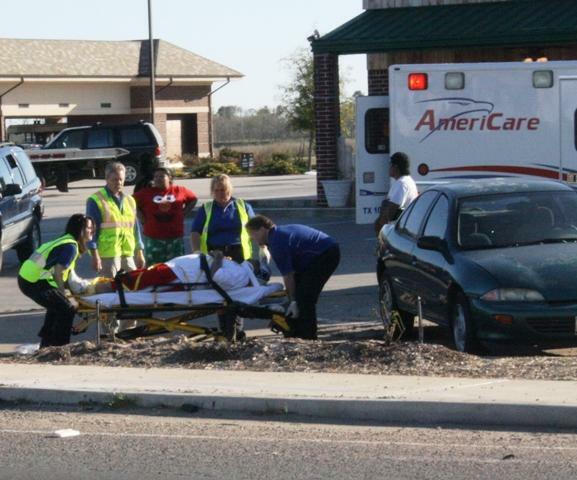 The driver of the Grand Am (an elderly lady), was checked by EMS personnel at the scene and was not hospitalized. Both vehicles had to be towed. 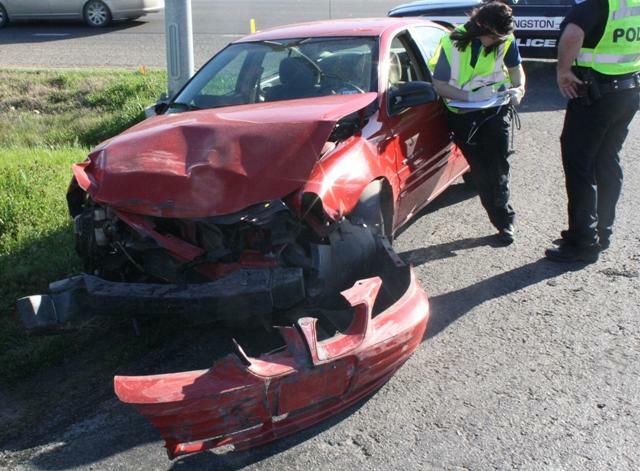 The front end of the car was torn off, and the drive shaft of the truck was busted, and the rear-end workings appeared to be heavily damaged. Both vehicles were towed by Harwood Wrecker Service and will be stored at 101 Harwood Drive in Livingston. The scene was cleared by 5 pm. NOTE: Livingston Police Department would not release the names of the drivers of the vehicles for some reason, so their names, where they're from, and the years of the vehicles are not listed in this report. The driver of this vehicle failed to yield right-of-way to an oncoming pickup and broadsided the truck. The truck was slammed on the driver's side. Note the busted drive shaft beneath the truck and the rear axel pushed back. 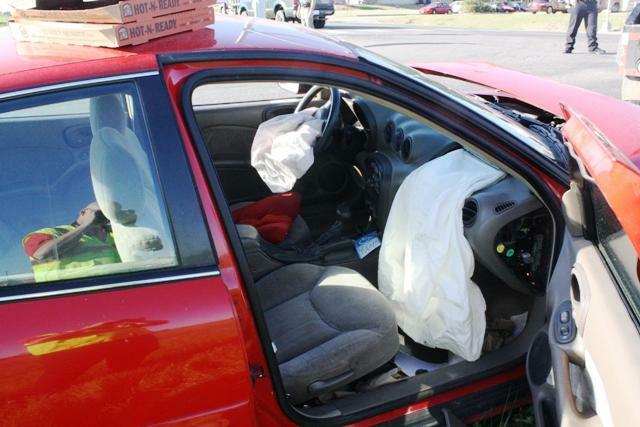 The car's driver and passenger side airbags deployed. The driver of the truck was loaded on an ambulance and taken to the hospital (as well as the young boy passenger).